America’s top diplomat met for 20 minutes yesterday with the wife of US pastor Andrew Brunson, jailed in Turkey for nearly six months on undisclosed charges of involvement in a terrorist organization. US Secretary of State Rex Tillerson was on a one-day stopover (March 30) in the Turkish capital Ankara, meeting for the first time with Turkish President Recep Tayyip Erdogan and senior government ministers regarding the conflict in Syria and other pressing diplomatic issues. 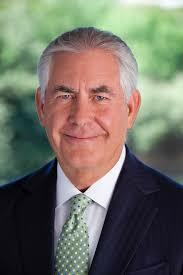 “I do not know what will come of it, considering the sensitive period Turkey is in, but I was grateful for the opportunity,” Norine Brunson wrote after meeting Tillerson Thursday night. Neither Brunson nor his Turkish lawyer have been allowed to see any details or evidence of the alleged criminal charges filed against him. He and his wife had been involved in church work in Turkey for 23 years before they were detained without warning on Oct. 7 last year over an application to renew their residence visas. Turkish Prime Minister Binali Yildirim had indicated three weeks ago to American journalists visiting Ankara that Brunson’s case could be “accelerated.” But he denied recent speculation that the Protestant pastor was being held as a political bargaining chip, allegedly to help force Washington to extradite the Islamic cleric accused by Ankara of orchestrating a failed July 2016 coup against the Turkish government from his home in the U.S.
Two days before Tillerson’s arrival, US Embassy officials from Ankara met with Brunson at the Sakran 3 Nolu T Tipi Prison near Izmir. Rev. 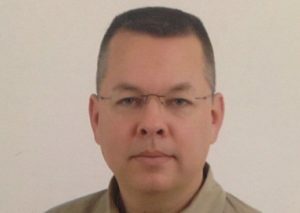 Brunson shares a small cell with 17 Turkish prisoners, reportedly also accused of criminal links with Fethullah Gulen, the Turkish imam living in self-exile in Pennsylvania. Tens of thousands of judges, prosecutors, journalists, military personnel, academics and civil servants have been jailed since last July in a massive legal probe against what Ankara identifies as the Fethullah Gulen Terrorist Organization. An appeal regarding Brunson’s imprisonment was sent to President Erdogan last month by members of the US Congress, along with interventions to the UN Human Rights Commission in February and March by the American Center for Law and Justice, which has mounted a global campaign on Brunson’s behalf. Norine Brunson had persisted in going to Ankara from Izmir, where she and her husband led a small church, even though officials told her it would not be possible to meet the Secretary of State. Rev. Andrew Brunson was first detained in Turkey, without warning, for two months from 7 October 2016, mostly spent in solitary confinement. Then he was jailed for the next three months in an overcrowded cell with 18 Turks. But after 23 years of church work in Turkey, all carried out openly, the American Protestant pastor has yet to see any evidence that he’s a threat to Turkey’s national security. Even his Turkish lawyer, who was finally granted access to Brunson only after he was sent to prison on 9 Dec., cannot access the confidential file of Interior Ministry allegations against the 49-year-old Christian. After five months, Turkish authorities still have not unsealed the case documents against Brunson, to enable his lawyer to defend him in a court trial. Last week, Turkish Prime Minister Binali Yildirim commented publicly for the first time about Brunson’s case, telling American journalists at an Ankara luncheon that Turkey will consider “accelerating” the trial process of the jailed pastor. The Prime Minister insisted it was “nonsensical” to believe suggestions that Turkey is holding Rev. Brunson “hostage” until the United States agrees to extradite Fethullah Gülen, the US-based Islamic cleric accused by Ankara of orchestrating a failed military coup to overthrow the Turkish government last July. “These matters are separate,” Yildirim told USA Today. But even so, when asked about Brunson, Yildirim immediately brought up Turkey’s frustration that Washington still has not responded to Turkey’s repeated requests to extradite the Islamic cleric, who is living in Pennsylvania. The Obama administration had insisted that Turkey provide clear evidence satisfying US judicial processes. “I’m not establishing a connection between the two cases, but such an incident [coup] of a large scale was not taken seriously by the Obama administration,” he declared. Prime Minister Yildirim’s comments on 9 Mar. were the Turkish government’s highest-level commentary to be made public to date regarding Rev. Brunson’s case. The local prosecutor in the port city of Izmir, where Brunson pastored the legally-registered Izmir Resurrection Church, confirmed on 15 Mar. that investigations into the church leader’s contacts, telephone calls and other activities are “moving along”. “America sees this as both a matter of religious freedom and safety for its citizens,” Lankford stressed. On 15 Feb., the chairman of the US Senate Foreign Relations Committee, Sen. Bob Corker, wrote a letter signed by 78 US congressmen to Turkish President Recep Tayyip Erdoğan, urging Brunson’s immediate release and return to the United States. A written intervention was filed on 13 Feb. before the UN Human Rights Commission by the American Center for Law and Justice (ACLJ), which has mounted a global campaign on Brunson’s behalf. The statement called for Brunson’s quick release from “wrongful detention and imprisonment” and urged the UN Human Rights Council to “call upon Turkey to honour its obligations” under its own constitution. Tens of thousands of judges, prosecutors, journalists, military personnel and educators have been arrested over the past nine months as “terrorism suspects” in the wide-ranging legal probe against the Gülen movement, which Ankara now identifies as the Fethullah Gülen Terrorist Organization (FETO). But the Turkish media have remained largely silent about the American’s inclusion with FETO suspects, rarely mentioning recent diplomatic advocacy efforts launched on his behalf. In mid-December, just after Brunson was sent to prison, two pro-government newspapers claimed that the pastor had been arrested as part of the sweeping national investigation against the Gülen movement. Basing a short 14 Dec. report on statements by a “secret witness,” the Sabah daily accused Brunson of trying to divide Turkey with sermons praising FETO, as well as of doing illegal propaganda sympathetic to the banned Kurdistan Workers’ Party (PKK), while dispensing humanitarian aid among Syrian refugees. In a longer article on 15 Dec., headlined “Arrested pastor exposed for both FETO and PKK sympathies,” Yeni Asir newspaper claimed that intelligence reports indicated that Brunson was receiving a large monthly salary from a Gülen group in the US, and had reportedly praised the FETO movement, as well as the PKK, in a church leaders’ meeting. The article specified that the pastor’s involvement with Syrians coming from Suruc and Kobani, across the Turkish border, involved “missionary activities”. But until Turkish authorities release the confidential legal file against Rev. Brunson, it is unclear how much longer his incarceration and legal rights will remain unresolved.